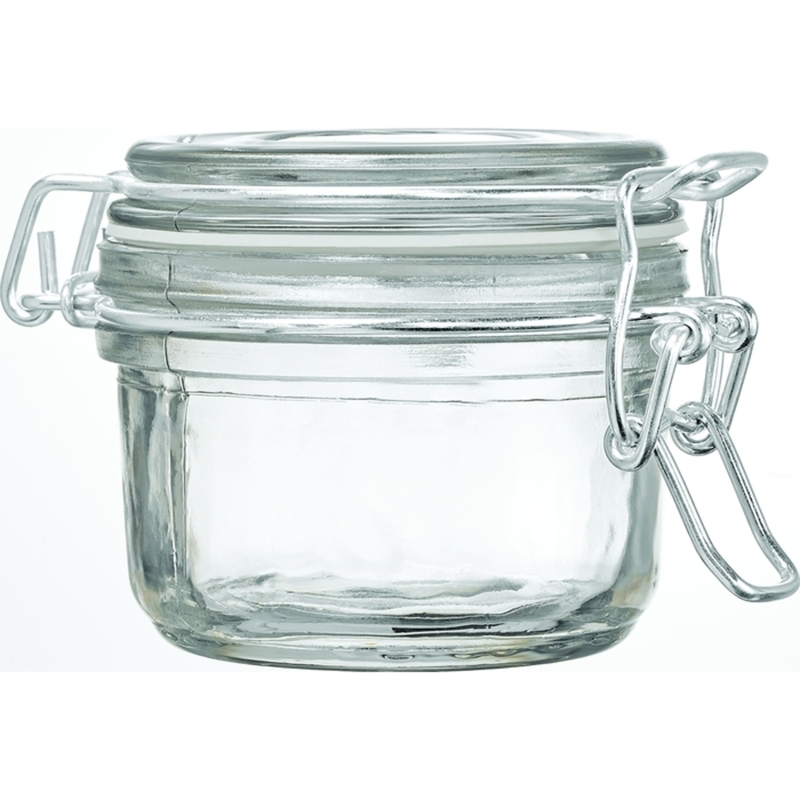 Display your products in this traditional 125 ml clear glass hermetic storage jar with airtight seal and metal hinged clamp. The hermetic seal keeps out air and moisture making it perfect for storing bath salts, sugar scrubs, spices, candy and any other product you would like to visually display. Perfect for salon, spa and home use.